Due to people’s busy schedule either from their work or home, giving time to the gym or do exercise may not be easy nor possible for all of them. If you are one of this person who is always busy and doesn’t have time to exercise, you don’t have to worry anymore. A fantastic invention was invented for you to enjoy and get some exercise while doing your laundry. The said invention was invented by a Filipino guy named Dandy Abdulmalik Vicentino that lives in Davao City in Mindanao, Philippines. 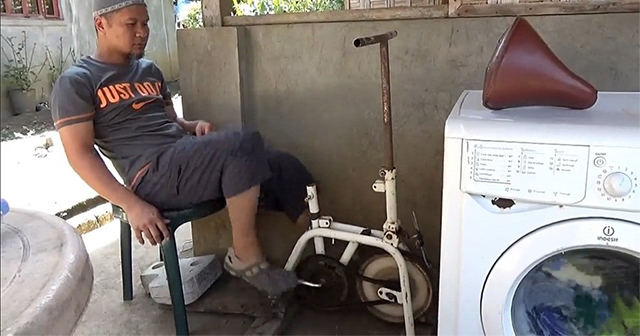 Dandy’s creation draws a lot of attention from online users since he combines the bicycle to a washing machine. Dandy explained the materials he used in his invention in the video he provided in his post. 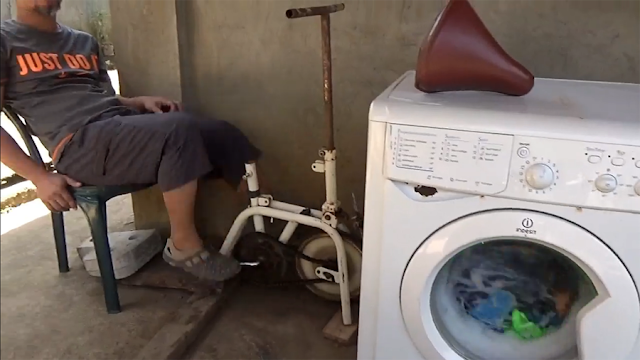 According to the video, he recycled a junked exercise bicycle and connected it to the washing machine. To use the washing machine and to get it spinning, the user should pedal the bicycle, and tada, it will not spin and start washing the clothes inside. Dandy’s creation is ideal for people who are so busy to hit the gym or do exercise to lose weight. The unique pedal power of Dandy’s invention will help the user lose weight and at the same time reduce their electric consumption. This is the reason why his creation earns praises and positive reactions to netizens who saw his post considering how expensive and costly our electricity rates nowadays. Throughout the years, there have been hundreds of inventions that was created to change our way of life just like the invention of Dandy. These inventions have ranged and improved from the beginning of time, and it has made our life more comfortable than what it was before. There is not a single invention that is more important than the other creation, because they all have a significant effect that contributes to the change and evolution of civilization. However, several inventions have also made people lazy because they really to the power of the invention that doing the deed.